Hello there and welcome to The Frasier Fan Club! If you're a Frasier fan and would like to become part of our humble community, please click on the register button on the nav bar. This will take you through the steps to creating an account for you. Not ready yet? No worries. Have a browse through our topics at your leisure. When you're ready, you know where to go! 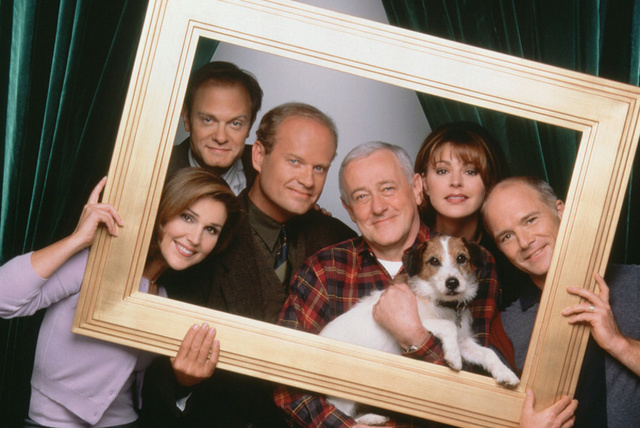 The new discussion boards for the hit NBC sitcom 'Frasier' that ran from 1993-2004. » Last Episode You Watched? I think you should know I'm at University, which is why I have not been on the forum much. I hope you're all keeping well! When I come back, I do check for improvements I can make to the site. Of course if you have any improvements to suggest,please let me know. I just noticed this John. I hope you're enjoying University!